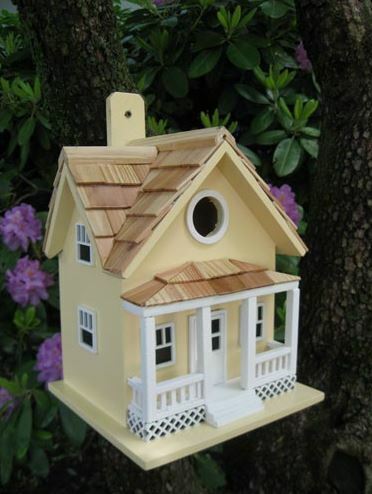 This lovely birdhouse is a cheerful light yellow, two story house with lattice detail under the front porch. Constructed of exterior grade ply-board with poly-resin details, this sea side themed is durable as well as fully functional;. 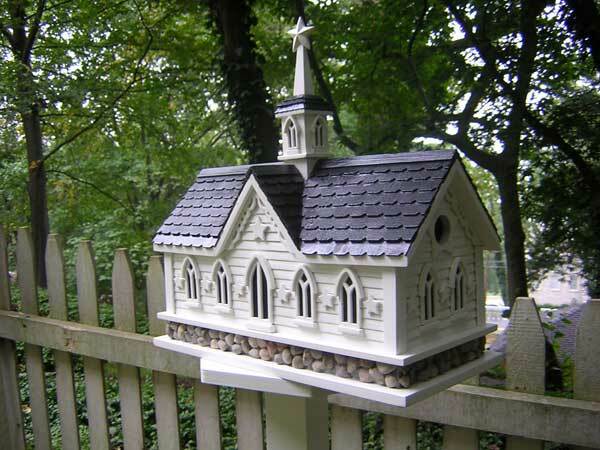 with removable back walls, drainage, ventilation, mounting bracket, and a 1 1/4" entry hole, your wild birds are sure to love it as much as you do. The Beach Side Cottage house also features a convenient, swing-up paddle-board attached to the back to make hanging this beautiful birdhouse as easy as a walk along the seashore! Entrance hole measures 1 1/4"
For common cavity dwellers such as Wrens, Finches, Chickadees, Nuthatches and Titmice. 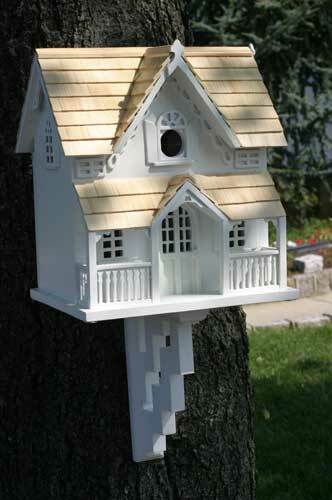 This intricately decorated Bird House features minute details such as porticos, shudders and Gingerbread roof trim! 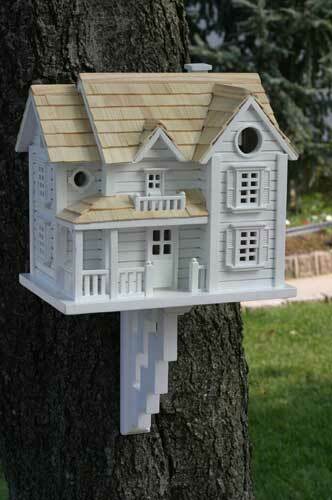 With a Pine Shingle roof and numerous details on the porch, window and door trims, this bird house is sure to please both people and birds alike! 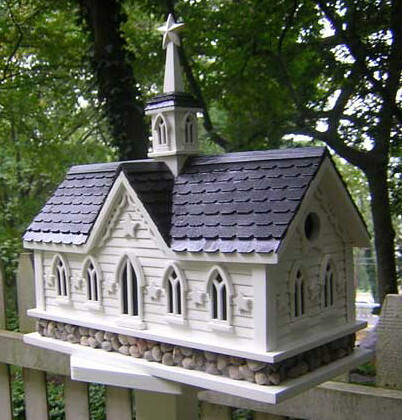 Dimensions: 7.5" x 11.5" x 10.5"
Inspired by the Iconic Star Barn in the Amish Country near Lancaster County, Pennsylvania, this functional bird house is decorated with Stars decorate all around and a river stone foundation, for an avian manor that any birder would be proud to display in their backyard!